Maschinen-Mensch Forums • View topic - Update 24 "The Chasm and The Pendulum"
Update 24 "The Chasm and The Pendulum"
Finally! With a delay of one week (sorry again) we have launched our latest update. We've been busy with creating an improved, more detailed and failsafe tutorial. However, we've not managed to finish it completely, there are some more steps we'd like to add to towards the next update. Other than that we've improved several aspects, including more special attacks and a general improvement of the combat tuning. Oh, and there are pendulums in the game now which are new special items that will help you to find specific locations, even 'hidden' ones more easily..
As usual, thanks a lot for your support and have fun with our latest version! 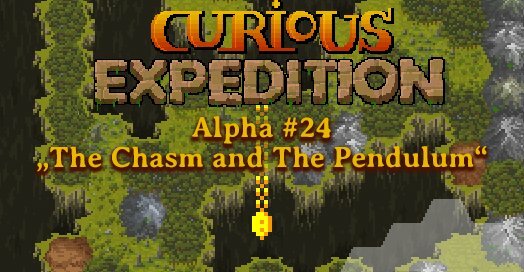 Re: Update 24 "The Chasm and The Pendulum"